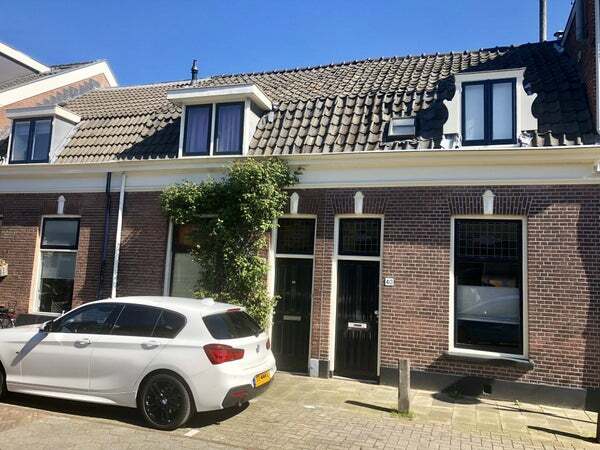 Beautifully furnished house with patio located on a beautiful and friendly residential street in the popular district Oudwijk. Located close to the Wilhelminapark, the cosy Burgemeester Reigerstraat and Nachtegaalstraat with shops, restaurants and supermarkets. The center of Utrecht, as well as De Uithof, can be reached within a few minutes by bike. There is also a good connection with public transport and various main roads. Entrance, living room with dining area. Kitchen with all appliances. From the kitchen there is access to the cosy patio. Bathroom with shower, sink, toilet and washing machine. Through the bathroom is access to a study / storage room, with dryer. Bedroom with double bed and lots of cupboard space. This room also has a washbasin and behind the cupboard wall a guest area with sofa bed has been created. From the bedroom is the loft with lots of storage space accessible.